Congratulations to the four finalists for the 2019 Equine Industry Vision Award. The winner will be announced during the 2019 AHP Equine Media Conference in Albuquerque on May 30-June 1. Dr. Tom Lenz, veterinarian, past American Association of Equine Practitioners president, retired equine technical services lead at Zoetis, as well as animal welfare pioneer and one of the world’s most prominent advocates for the humane, sensible treatment of horses. Monty Roberts, founder, Flag Is Up Farms and Join-Up International, internationally known horseman committed to improving the traditional ways of treating not only animals but also the people around horses. The Right Horse Initiative, nonprofit industry wide collaboration to innovate and implement resources and services for at-risk horses funded by the WaterShed Animal Fund. 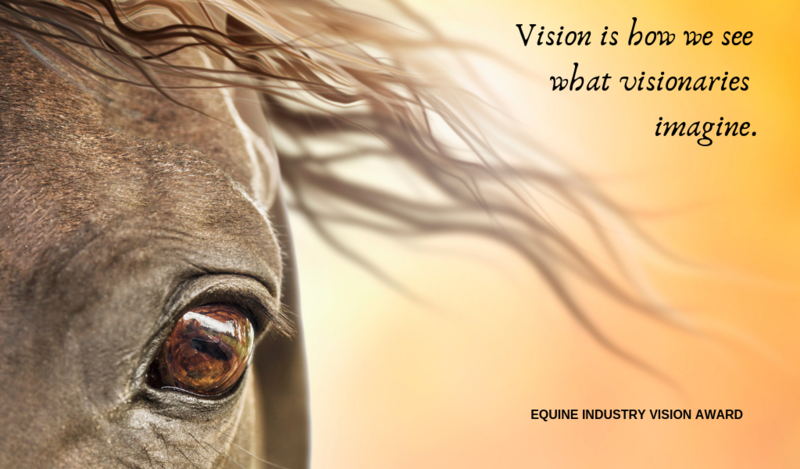 The Equine Industry Vision Award is given annually in recognition of outstanding leadership, creativity and meritorious contribution toward positive changes in the equine industry. This distinguished award is a unique opportunity to publicly recognize ingenuity, originality and effective innovation that exemplifies commitment, dedication and service to this industry. Nominees may include individuals or organizations. They may be recognized for a single outstanding visionary achievement or for sustained outstanding contributions that have made a profound impact on the equine industry. In the case of nomination for a single achievement, nominees should have devoted themselves to a given task whose magnitude, significance and repercussions warrant a level of recognition beyond the purpose served. The achievement in question should be complete or measurable to the degree that the judges can come to an accurate assessment of its consequences and degree of success. The nominees may or may not come directly from the equine industry, but their achievement(s) must have created paradigm shifts in the perception of the industry. 1) The vision and innovation of a true pioneer. 2) Leadership, commitment, dedication and willingness to serve. 3) Original and effective ideas and/or products, services, programs.